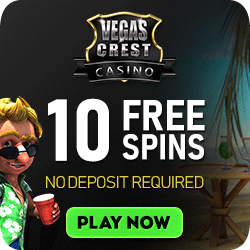 Online casino progressive slots jackpots are the true dream makers of the gambling world. You can choose from an ever-increasing array of life-changing jackpot games. Live jackpot tickers let you see at a glance how much you win if you hit the winning combination that instant. 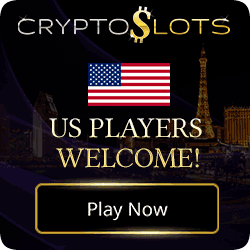 The value of the jackpot increases by a small fraction with every coin played. As a rule, only players wagering maximum credits per spin will qualify for winning the top prize; but all players (regardless of the number of credits per play) contribute to the jackpot. If you play less than the maximum coins required, you contribute to the progressive jackpot without having a chance of ever winning it. That’s why, when playing progressive slot games, never bet less than the maximum credits required to qualify for the jackpot. Whether online or in Las Vegas, it is every slot players dream to hit one of the big progressive payouts. Wouldn’t it be great! What are the odds that you will be so fortunate? Much better than those for winning the million-dollar lottery. Chances are slim, but if you don’t play, you have no chance at all. Huge jackpots are won all the time. Who knows, the next lucky player might be you. 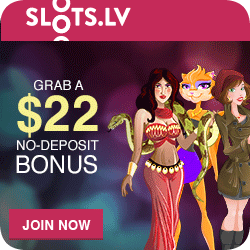 Slotland has Online Progressive Slots Jackpots! 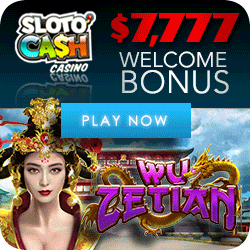 Slotland Jackpot: – The Current Online Progressive Jackpot. I wouldn’t chase a progressive windfall by betting house and home, but there is nothing wrong in going after that huge amount with a portion of your gambling money now and then. You never know when Lady Luck will smile on you. There are many varieties of progressive games. Knowing which is which will help you pick the one that’s most advantageous to play. Be sure to check around. All land-based casinos, and most online casinos, feature several types of progressive games. An individual progressive slot machine is self-contained, it does not receive from or contribute to another machine’s jackpot. As the name implies, linked progressive slots are groups of machines that are electronically hooked-up to contribute to one common jackpot that can grow quite large. Hitting the jackpot on one of these machines is what everyone likes to dream about. Hundreds of machines, located in many different casinos, all feed that giant pot of gold. Your odds of winning those millions are about the same as those for winning the lottery. But then, someone always wins the lottery too. Throughout many brick-and-mortar casinos there are often several banks of progressives of identical machines, but offering jackpots of considerably different sizes. You might as well risk your money on the one paying the most. The same applies when you’re shopping for an individual progressive. Always go for the highest jackpot available, just in case! 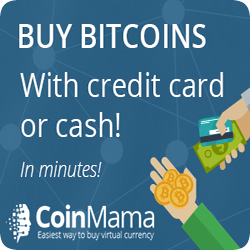 Always play maximum coins on progressive games. You’d never forgive yourself if you missed out on collecting a top jackpot because you didn’t bet the maximum number of coins. If you want to play one coin at a time in order to stretch your playing session, don’t choose a progressive machine. Playing progressives means you have to bet maximum coins, every spin. You often hear that someone hit a huge jackpot after spending only a minimal amount of time and money on a machine. It is true, the majority of large jackpots are hit within the first few minutes of play. That is not because the machines pay better at the start, it’s because most players don’t stay at the same machine for longer than 10 to 20 minutes. If players don’t win, they move on. So, it makes sense that when a person hits the jackpot, she or he hasn’t been playing that particular slot for very long. And that brings us to the question of how long should you play a progressive slot? The more appropriate question is, how much money should you risk? Much, of course, depends on your gambling budget and your temperament. Personally, if I play progressives in Las Vegas or any other real casino, I take a chance on the giant progressives with no more than 10% of the money I came with. At online casinos, I make it about 15% to 20% of my total deposit.